3x6 Subway Tiles, Hexagons and a matching Crown Molding come together in this backsplash tile design to create an elegant backdrop for any space. Timeless and classic, white kitchens and bathrooms are always in style, and the addition of this graphic element as a kitchen backsplash tile lends a contemporary edge. 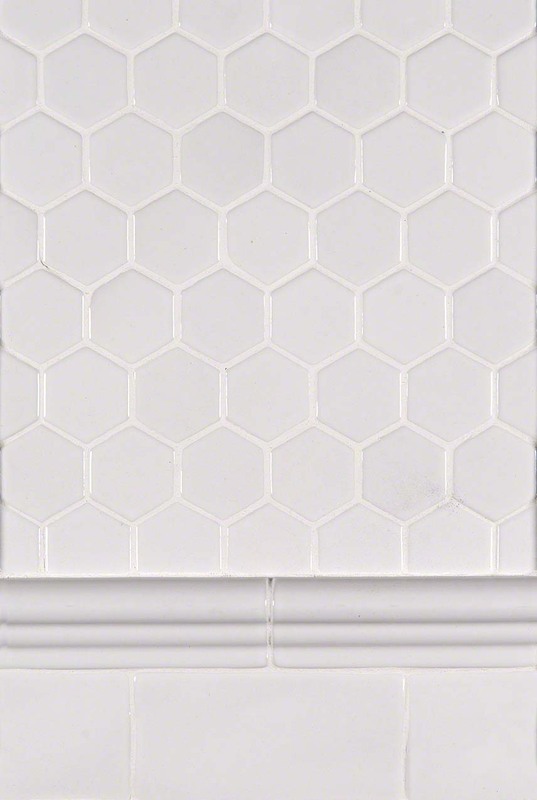 Whisper White Hexagon Trio will do well in an all-white design or with darker cabinetry to make it the star of the room.